Free! private parking is possible at a location nearby (reservation is not needed). We accept all mayor payment cards. Check in time is at 2 pm. Check out time is at 12 noon. Garni Hotel Sole is located in the city center of Nis. Hotel, with elegant and modern design in Italian style have eleven comfortable and unique rooms that are meeting the highest standards. 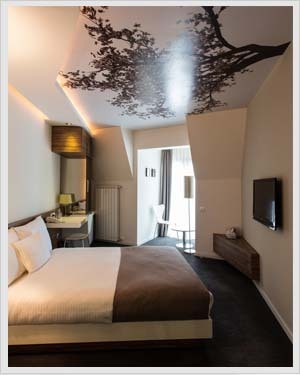 All rooms are comfort, suited with a working desk, air conditioning, LCD TV, safe box, WiFi and a mini bar. Within the hotel there is a lobby bar Sole where guests can spend a pleasant morning, afternoon or evening with friends and taste international selection of the finest alcoholic drinks and carefully selected coffee. 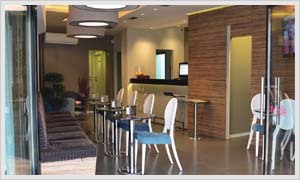 Pleasant staff is at your service 24 hours a day, as well as free parking and fast wireless internet. 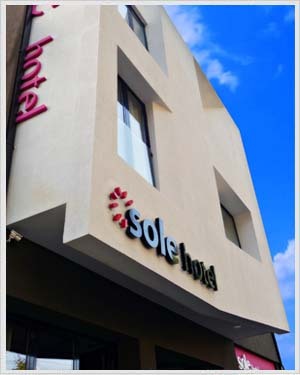 Hotel Sole follows the trends of modern life, and we are working hard to meet your expectations, to provide you with superior service and always making sure that the time spent with us will be special. Nearest restaurant can be found 100 metres from the Hotel while a shopping centre is only 150 metres away. Local buses stop right is in front of the Hotel and the Main Bus and Train Station are 1,5 km away. Nis airport is 3 km from Hotel Sole. Our standard room with one full size bed is comfortably decorated to accommodate two people. Each room has a private bath with shower, clock radio ,hair dryer, LCD TV, high speed WiFi, toiletries supplied, working area, air conditioning and a mini bar. 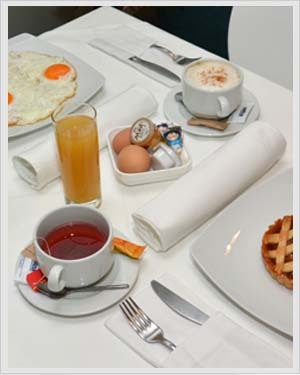 Breakfast is served from 7-10h and we offer breakfast in the room as well. Our menu include fresh fruits, orange juice, tea, coffee, omelet with bacon, mushrooms, cheese, ham... or fried eggs, sausages, hot dogs, pancakes and much more. 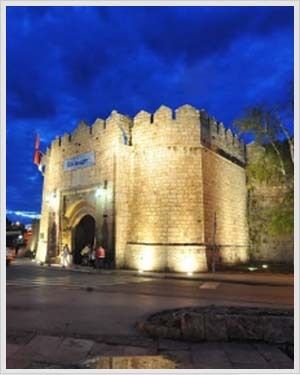 Nis is a city famous for nightlife. In addition to entertainment, you can visit many historical monuments and landmarks. The city known for its Roman, Turkish and other cultures that left their mark over the centuries on this unique crossroads.